Question: Who is a prosecutor? 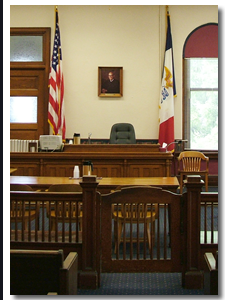 Contact an Iowa criminal defense lawyer representing clients in Hampton, Iowa today to schedule your initial consultation. Answer: A prosecutor is an attorney employed by the government. Prosecutors are responsible for presenting the government’s case against a defendant, or person charged with a crime. The government must investigate, arrest, and charge a defendant, and then bring the defendant to trial. Depending on the government body for which they work, a prosecutor may be called a city attorney, a county attorney, a state’s attorney, or a district attorney. Generally, in Iowa, violations of State law are prosecuted by the local County Attorney’s office.